Raised on Gunsmoke, Bat Masterson, and The Life and Legend of Wyatt Earp, we know what it means to “get outta Dodge”—to make a hasty escape from a dangerous place, like the Dodge City of Wild West lore. But why, of all the notorious, violent cities of old, did Dodge win this distinction? And what does this tenacious cultural metaphor have to do with the real Dodge City? In a book as much about the making of cultural myths as it is about Dodge City itself, authors Robert Dykstra and Jo Ann Manfra take us back into the history of Dodge to trace the growth of the city and its legend side-by-side. An exploration of murder statistics, court cases, and contemporary accounts reveals the historical Dodge to be neither as violent nor as lawless as legend has it—but every bit as intriguing. In a style that captures the charm and chicanery of storytelling in the Old West, Dodge City and the Birth of the Wild West finds a culprit in a local attorney, Harry Gryden, who fed sensational accounts to the national media during the so-called “Dodge City War” of 1883. 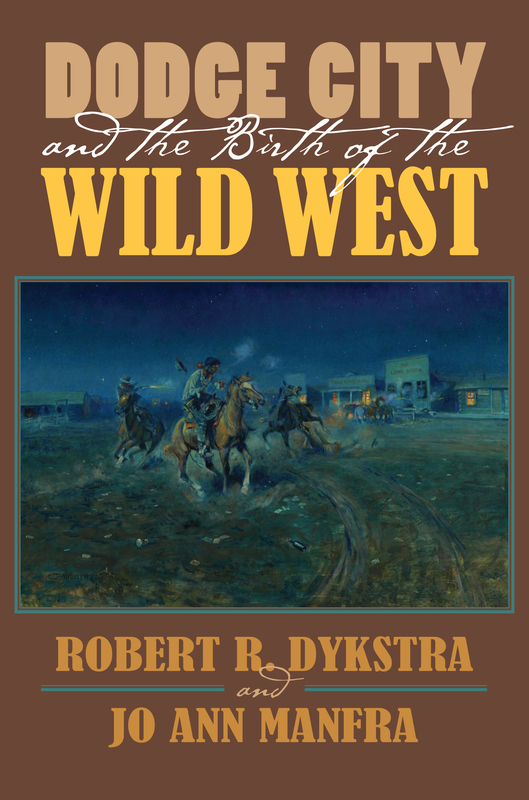 Once launched, the legend leads the authors through the cultural landscape of twentieth-century America, as Dodge City became a useful metaphor in more and more television series and movies. Meanwhile, back in the actual Dodge, struggling on a lost frontier, a mirror image of the mythical city began to emerge, as residents increasingly embraced tourism as an economic necessity. Dodge City and the Birth of the Wild West maps a metaphor for belligerent individualism and social freedom through the cultural imagination, from a historical starting point to its mythical reflection. In this, the book restores both the reality of Dodge and its legend to their rightful place in the continuum of American culture. Robert R. Dykstra is professor emeritus of history and public policy at SUNY Albany and author of The Cattle Towns. Jo Ann Manfra is professor emeritus of history at Worcester Polytechnic Institute and editor of Horace Greeley’s an Overland Journey from New York to San Francisco in the Summer of 1859. Dykstra and Manfra also co-authored The Gilded Age: Industrial Capitalism and Its Discontents.